Tripoli’s only functioning airport has been attacked as eastern forces advancing on the Libyan capital disregard international appeals for a truce in the latest of a cycle of warfare ongoing since Muammar Gaddafi’s fall in 2011. Casualties were mounting in fighting that also threatens to disrupt oil supplies, fuel migration to Europe and wreck United Nations (UN) plans for an election to end rivalries between parallel administrations in the country’s east and west. 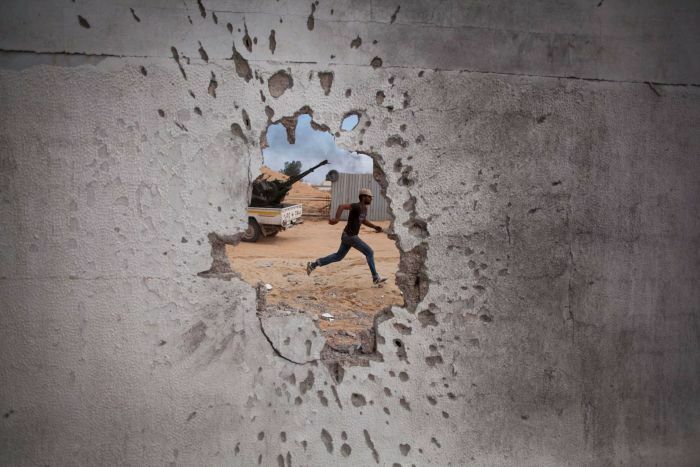 Fighting between forces of Libya’s rival governments in the south of the capital Tripoli has so far killed at least 25 and wounded 80, a spokesman for the Tripoli-based health ministry said on Monday. 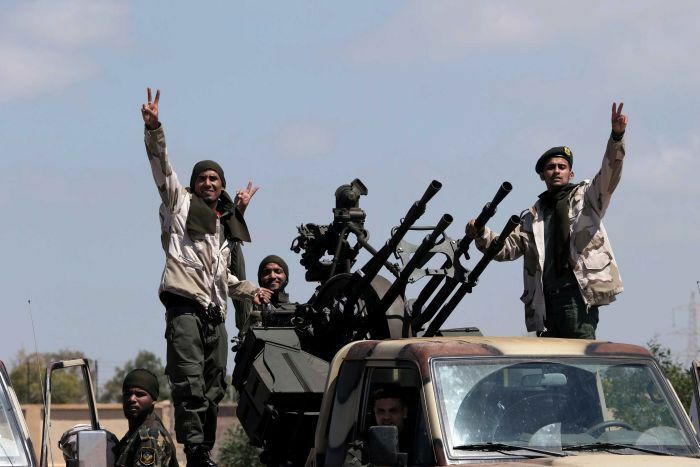 Facebook: A local militia claims surrender of eastern Libyan troops near Tripoli. The death toll is for fighters as well as civilians including a whole family who died, the spokesman said. Mitiga airport, in an eastern suburb, was bombed and closed, authorities said. 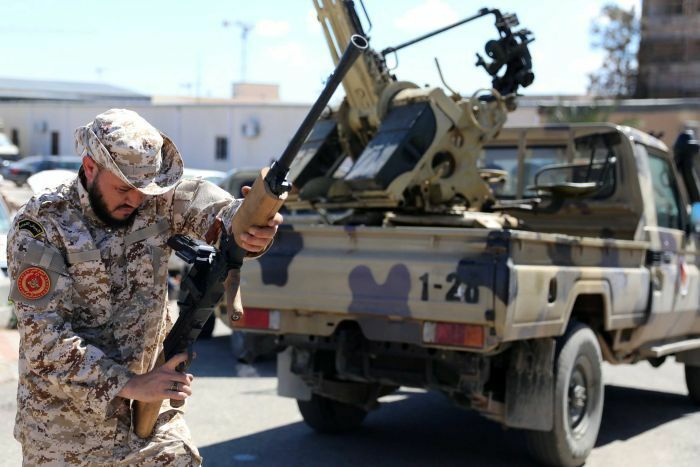 The eastern Libyan National Army (LNA) forces of Khalifa Haftar, a former officer in Moamar Gaddafi’s army, earlier said 19 of their soldiers had died in recent days as they closed in on the internationally recognised government in Tripoli. 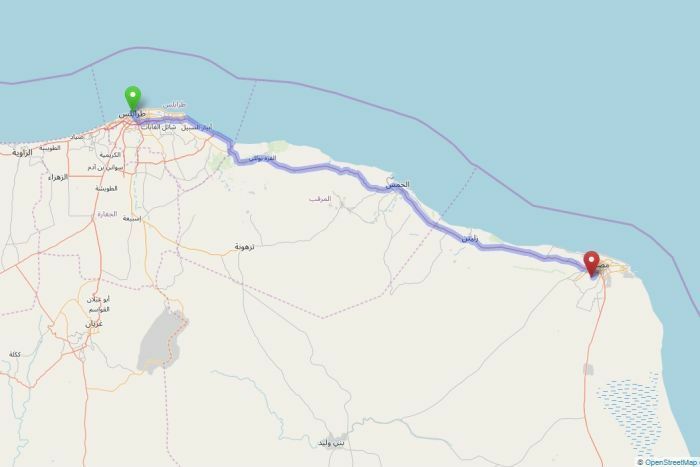 Mr Haftar’s LNA, which backs the eastern administration in Benghazi, took the oil-rich south of Libya earlier this year before advancing fast through largely unpopulated desert regions toward Tripoli. Seizing the capital, however, is a much bigger challenge. The LNA has conducted air strikes on the south of the city as it seeks to advance into the centre from a disused airport. 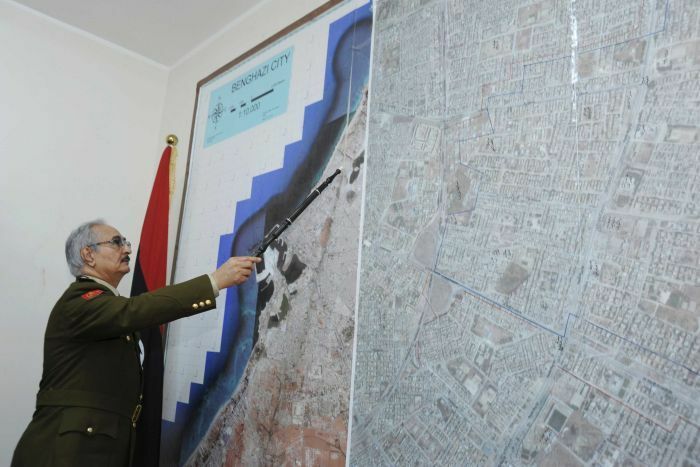 Witnesses said the LNA had lost control of the old airport and withdrawn from positions on the airport road. On Sunday evening, LNA forces had moved up from the airport, coming as close as 11km from the city centre before retreating, residents said. The government of Prime Minister Fayez al-Serraj is seeking to block the LNA with the help of allied armed groups who have rushed to Tripoli from Misrata in pickup trucks fitted with machine guns. His Tripoli government has reported 11 deaths in the past few days, without saying on which side. UN envoy Ghassan Salame met the Prime Minister in his Tripoli office to discuss “this critical and difficult juncture”, the UN’s Libya mission said. The violence has jeopardised a UN plan for an April 14–16 conference to plan elections and end anarchy that has prevailed since the Western-backed toppling of Gaddafi. As well as the UN, the European Union, United States and G7 bloc have all urged a ceasefire, a halt to Mr Haftar’s advance and return to negotiations. Mr Haftar casts himself as a foe of extremism but is viewed by opponents as a new dictator in the mould of Gaddafi, whose four-decade rule was marked by torture, disappearances and assassinations. Renewed war in Libya — splintered since Gaddafi’s 2011 fall — threatens to disrupt oil and gas supplies, trigger more migration to Europe, and wreck UN hopes for an election. The LNA says it has 85,000 men, but this includes soldiers paid by the central government that it hopes to inherit. Its elite Saiqa (Lightning) force, numbers some 3,500, while Mr Haftar’s sons also have well-equipped troops, LNA sources say. Analysts say Mr Haftar has swelled his ranks with Salafist fighters and tribesmen as well as Chadians and Sudanese from over the southern borders, claims dismissed by the LNA. France, which has close links to Mr Haftar, said it had no prior warning of his push for Tripoli, a diplomatic source said. Forces with the Tripoli government have announced an operation to defend the capital called “Volcano of Anger”.